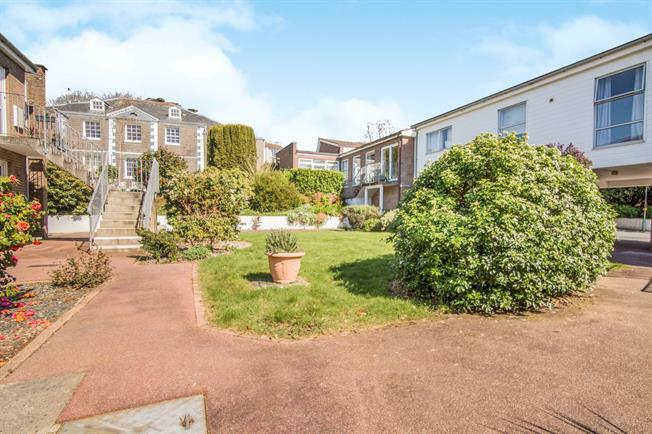 3 Bedroom Flat For Sale in Truro for Asking Price £190,000. A very well presented 2/3 bedroom apartment, with views across the Cathedral and Truro City Centre. The property has recently had the kitchen and bathroom upgraded as well as new carpets fitted throughout. An internal viewing is highly recommended as this is sure to be a popular apartment. Double glazed window to rear. Recently refitted kitchen comprising wall and base units with rolltop worksurfaces over and partial tiling to splashbacks. Built in electric oven and hob. Washing machine, slimline dishwasher. Stainless steel sink and drainer unit with mixer taps over. Extractor. Integrated fridge and integrated freezer. Double glazed windows to front aspect giving views across Truro. Electric Heater. Double glazed windows to front. Built in triple wardrobes with storage cupboards over. Electric wall mounted heater. Double glazed window to rear elevation. Double mirror fronted wardrobes. Vanity wash hand basin. Wall mounted heater. Allocated carport, as well as visitor parking to the side of the property.